Our little family of four is always on the run. My husband and I both work full-time. There's school and homework. There's practice and games, not to mention events and birthday parties. Our calendar is almost always full. That doesn't mean we can't carve out a few hours for family time. 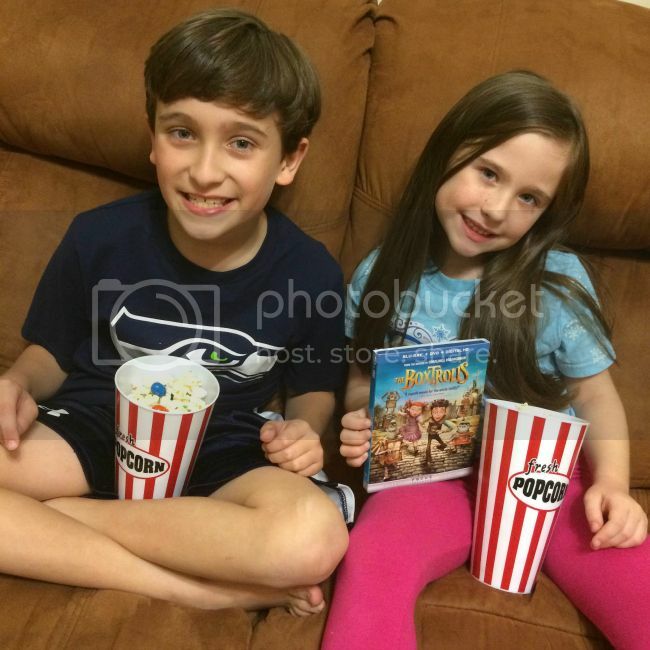 This weekend, I picked up The Boxtrolls on Blu-ray and Pop Secret 10ct Home-Style Popcorn at Walmart for family movie night. My kids had already seen The Boxtrolls in the theater with their grandmother, but had asked to get it on Blu-ray as soon as it was released. 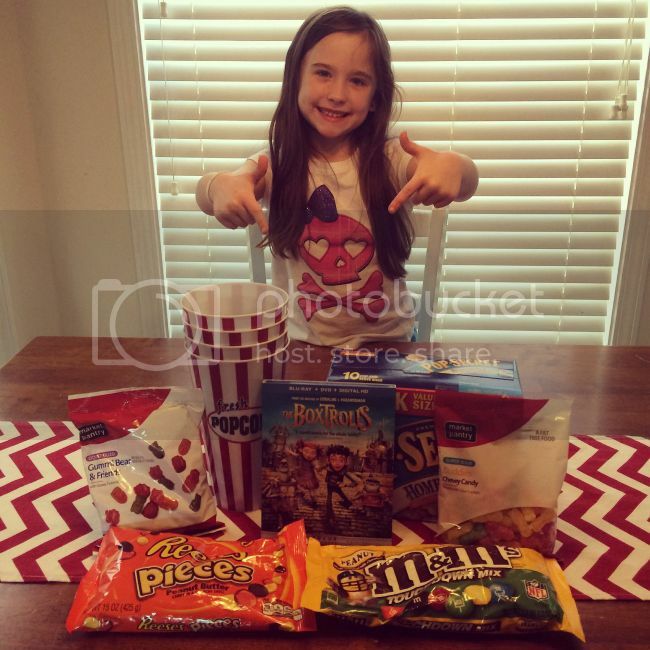 When I picked the movie up at Walmart, I also grabbed some Pop Secret popcorn, popcorn containers and several different kinds of candy to give us a fun movie theater experience at home. 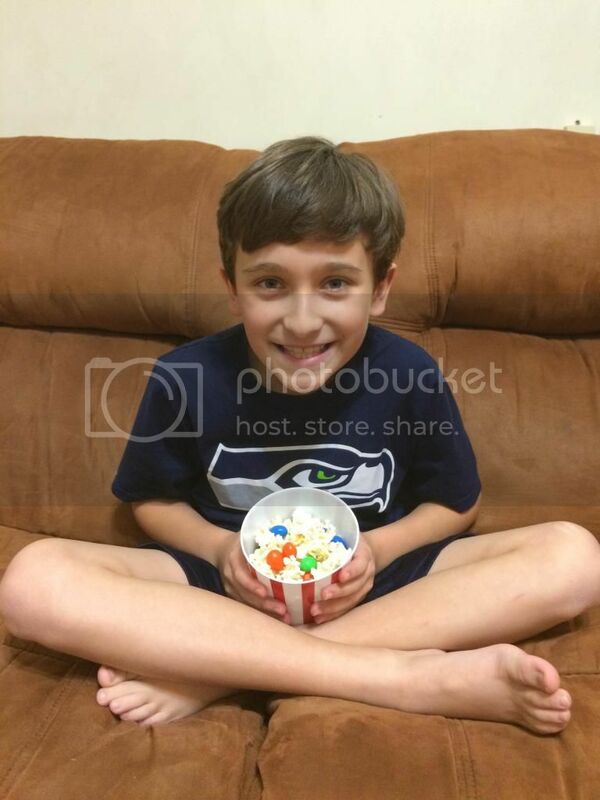 Dain and Rory loved being able to flavor their popcorn with candy. Dain chose Peanut M&M's and Reese's Pieces. 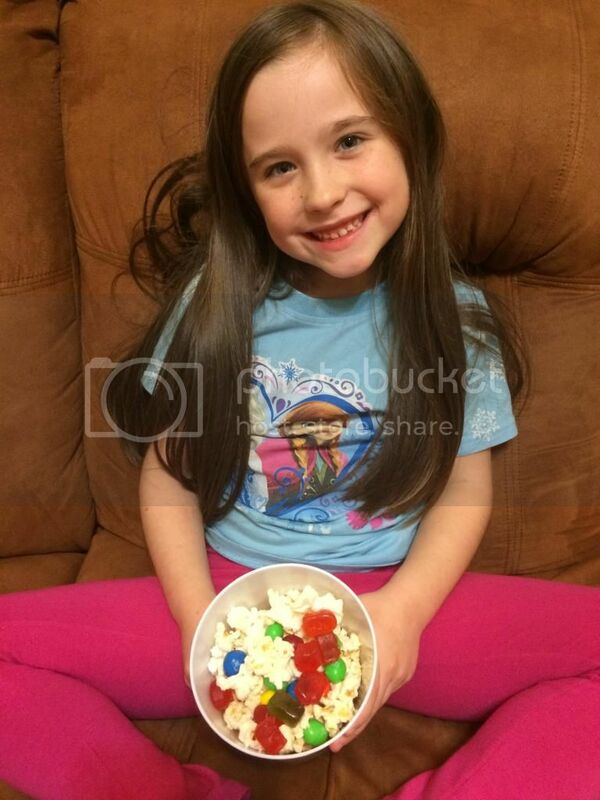 Rory went with Peanut M&Ms and some sour candies. My husband ended up filling his container with gummy bears. I ate mine with several handfuls of Reese's Pieces. Mmm, peanut butter! This was such an easy and fun night for the whole family. Even though we're always on the go, I think it's important to carve out a night like this as often as we can. I'd be happy if we could have family movie night once a month. We can take turns picking the movie and the snacks. 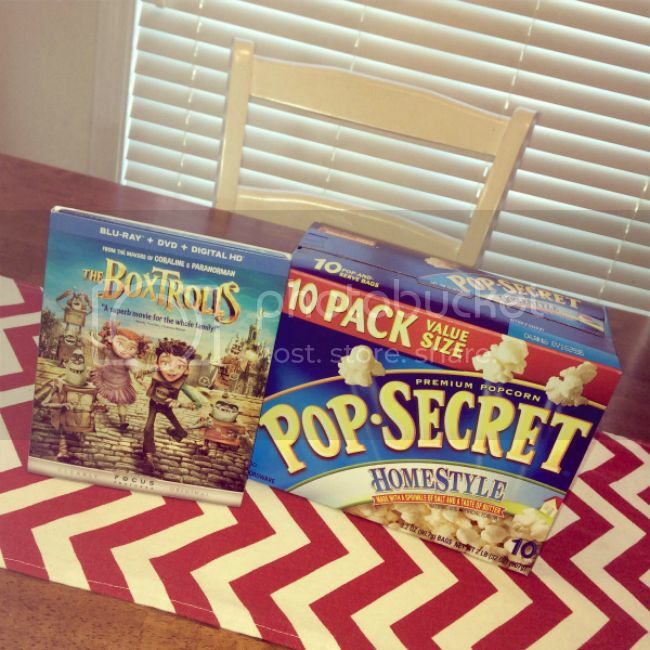 If you’d like to plan your own family movie night like ours, you can purchase The Boxtrolls and Pop Secret 10ct Home-Style Popcorn or Pop Secret 10ct Movie Theatre Butter Popcorn at Walmart while supplies last. Make sure you check out The Boxtrolls on Facebook, too! How do you carve out time with your family? What are your favorite movie snacks? How did I not notice Dain's Seahawks shirt before?! Awesome! How do you think Nolan would handle this movie? We are trying more and more to do movie nights. He does a lot better when we're sitting next to him on the couch, able to talk through any tough scenes. And Milo's happy playing with cars on the floor in front of the tv. Plus, they both love the snacks! 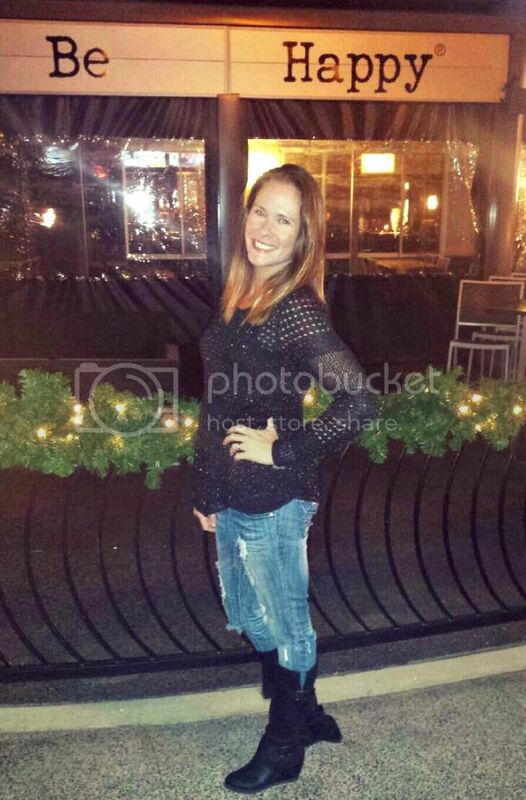 Your kids are really growing up fast! Also, that looks like so much fun! I need to see The Boxtrolls. I'm trying to see all the Oscar flicks this year.